Nothing says “girls’ night out” like a crimson matte red lipstick. Every time you apply that finishing touch to your night out get-up and smile admiringly in the mirror, your confidence is knocked down by the yellow teeth staring back at you. Many factors need to be considered when discussing how your teeth may have become stained over the years. One thing is for sure, Drs. Dory and Khalida Stutman provide all the services you may need for teeth whitening in Massapequa. If you want to reclaim your pearly whites, choose professional teeth whitening at South Shore Dental Care. Strong, dark drinks—coffee, tea, wine, and colas. Disease—some treatments for medical conditions cause discoloration. How can South Shore Dental Care help me? You’ve got options when it comes to how you will whiten your teeth, from whitening toothpastes to over-the-counter white strips. None of these options reveal results as dramatic as professional teeth whitening. Drs. Dory and Khalida Stutman offer at-home and in-office Zoom! Whitening treatments to our patients that long for a renewed, bright smile. Exposure to some of your favorite foods and drinks slowly ages your smile. Our in-office whitening treatment, Zoom! Whitening, erases stains and leaves your teeth whiter than you ever dreamed possible. How does Zoom! work? We combine the power of a concentrated bleaching gel with a bright UV light. Our Massapequa dentist will shield your mouth and treat your teeth in 15 minute intervals, revealing a noticeable difference in just one office visit! Patients who wish to reveal their results gradually prefer at-home teeth whitening treatments. The professional-grade bleaching gel allows you to enjoy dramatically brighter teeth in the comfort of your own home. 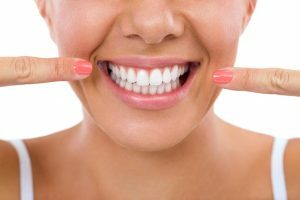 Our patients have worn their custom-fit bleaching trays while doing household chores, reading before bed, or while performing their daily callisthenic routine. Your whitening expectations will be exceeded within just a few days of following our simple instructions. Are you interested in revealing your whiter, more youthful smile? Step out for a night on the town with beaming confidence in any color lipstick without second-guessing yourself. Don’t hesitate to get in touch with our dental practice in Massapequa. Not only will we discuss the best option for you, but we educate all of our patients on how to maintain their new white smiles from this point on. We are located right off of Sunrise Highway and Massapequa Creek. Contact us to schedule an appointment at South Shore Dental Care today! by: South Shore Dental Care at February 23, 2017 .